to test out the trampolines! 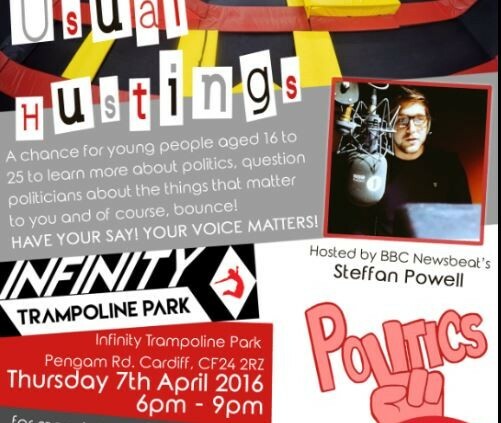 Infinity Trampoline Park, Saint Catherines Park, Pengam Rd, Cardiff CF24 2RZ. 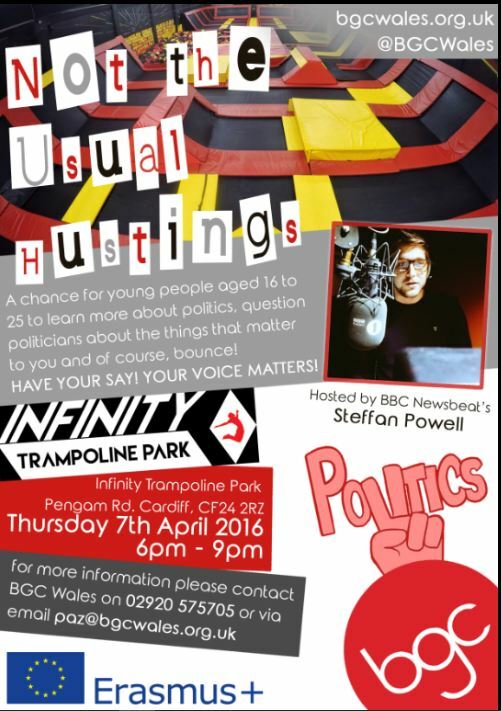 The event will include an opportunity for young people to use the trampolines after the ‘hustings’ event. 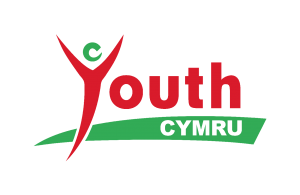 For further details please contact BGC Wales headquarters on 029 20575705.
have an additional form which is attached to this information sheet.